It is with great pride that All Saints Academy announces Sally Sheridan (Year 8) as the winner of the local heats for the Cranmer Awards. 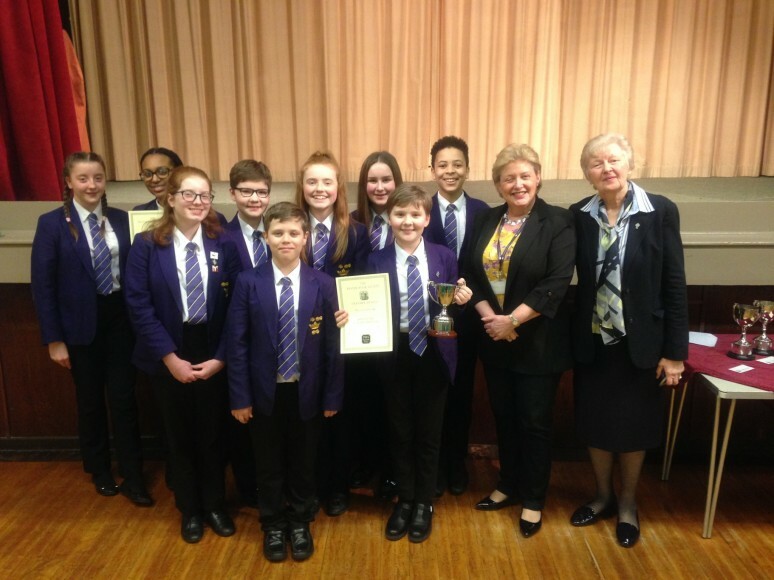 On Friday 1st March 2019, a group of students from All Saints Academy accepted the challenge to take part in The Cranmer Awards – a competition run by the Prayer Book Society to introduce young people to the 1662 Book of Common Prayer. As part of the competition, entrants from across the country must read and recite a passage of their choice, 3-5 minutes in duration, from the Book of Common Prayer. Local heats are held around the country, and the winners of the heats go through to the National Final where competitors must recite their chosen passage by heart. Valerie Fiamavle and Phineas Willis were both praised highly by the judge for their readings. However, special congratulations went to Sally Sheridan who was the outright winner of the competition. Sally is now preparing to go to Lambeth Palace in London to represent All Saints Academy at the National Final later in the year. All of the entrants acquitted themselves well and were tremendous ambassadors for All Saints Academy.